1.) 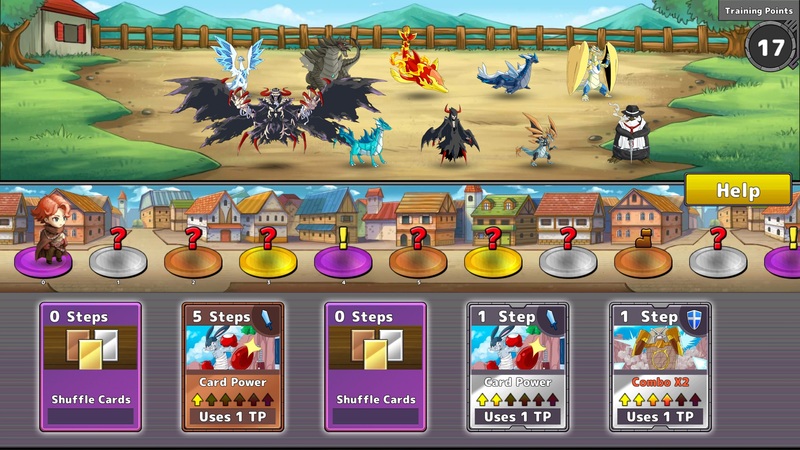 uncapturable monsters cannot be used in "online" fights, suggest you to group them in their own team panels. most if not all monsters that you get on "online" fights are uncapturable. 3.) bluestack memory is limited, if it crashed there then you better try to increase its memory. best to do your training in smaller TP ! "You have an invalid monster in your team, please remove"
usually, the full 3 stars, or any monsters with last star empty, are uncapturable. 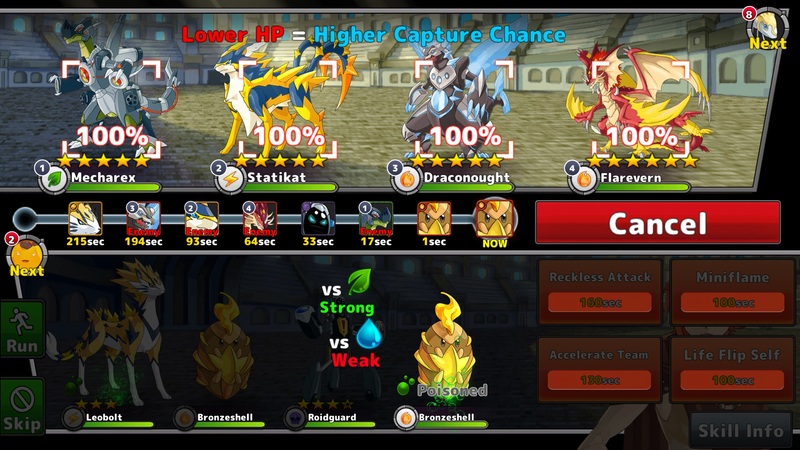 I usually have 1 full team of "normal" monsters, and the rest of the teams will be full of uncapturables. 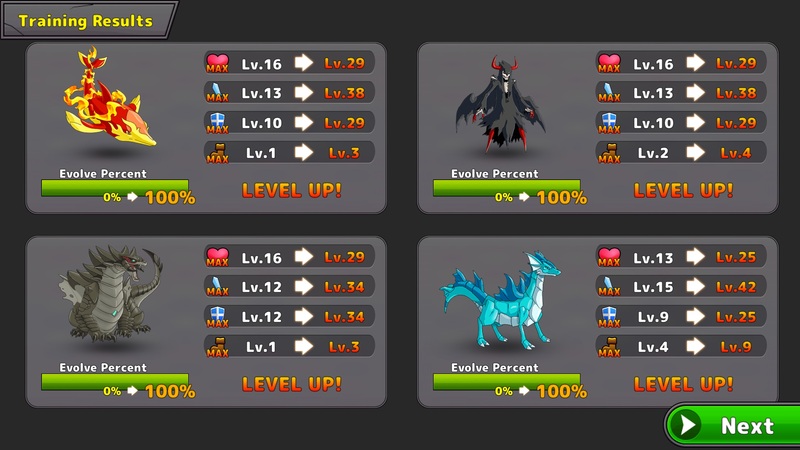 when you want to go to the "online" part, you just have to click the normal monster team tab (to activate), and then click the "online"
One question...how do i know what monster i can use in online mode? Someday it will be possible to use for uncapturable monsters? Unfortunately today a new version came out, please when you can update. Yeah the title screen even says "when you update now, you get 2 Gems bla bla bla"
You cannot capture monsters in league battles n online. Well playstore one says it's version 1.3.0 but couldn't seem to find a 1.3.0 version on APKpure.